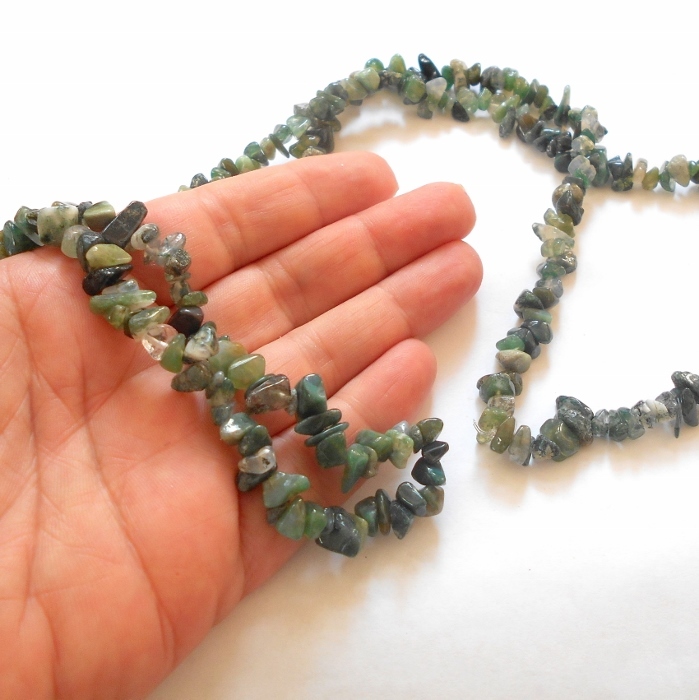 Gorgeous natural moss agate gemstones set on a long chip necklace Agates are grounding stones that balance your yin and yang. 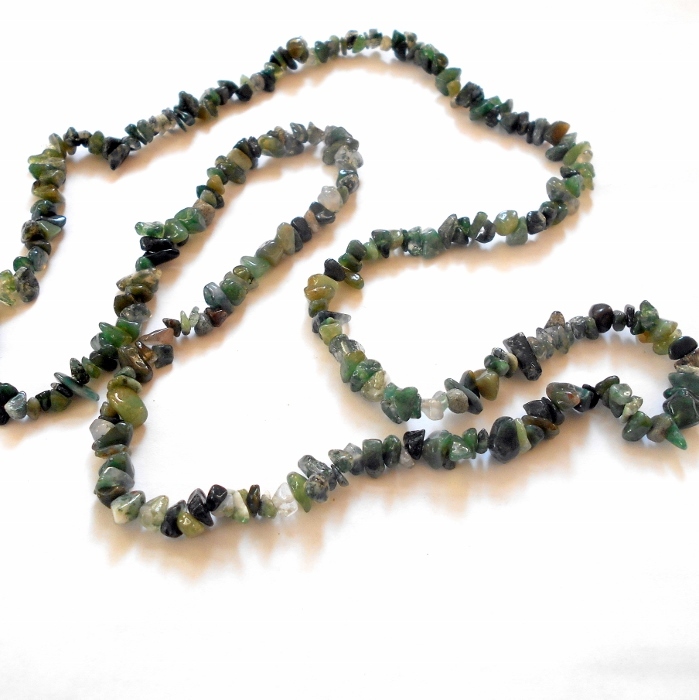 Green agates are particularly useful for mental and emotional flexibility, and they help with decision making and dispute resolution. 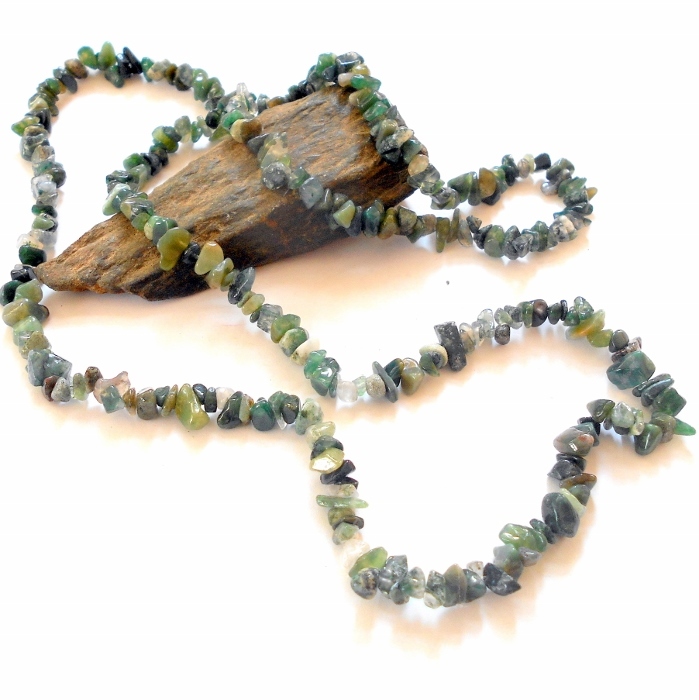 Agates are also excellent for the digestive and lymphatic systems.